A few weeks ago, in December, I read The Snow Child by Eowyn Ivey. I thought it was a wonderful book - I've written about it below. It's set in Alaska, and just as I finished it, I glanced out of the window - it was early morning, and still dark - and in the light of a street lamp, I saw that it had just begun to snow. It seemed quite magical. Since then, I seem to have been in thrall to books set in the frozen north - or, well, in frozen Britain. I read Susan Price's Ghost Drum series, set in the snowy north of Russia (again, scroll down); then, in company with lots of fans all over the world, I re-read Susan Cooper's The Dark Is Rising. This, if you've not read it, tells the story of Will Stanton, who, one mid-winter, finds out that he is not just an ordinary boy, but the last of the Old Ones, whose task it is to fight in a battle against the Dark. As the struggle begins, the snow falls, until it is so thick that normal life goes into abeyance. It turns out that Robert MacFarlane is a great fan, and he suggested on Twitter that people should re-read it during the season in which it is set, and discuss it. Lots of artists took part too, and posted marvellous illustrations - it was great! Then I went on to Stef Penney's Under A Pole Star. I'd had this on my Kindle for a while, but somehow it hadn't been the right time to read it. Now it was. Set in the late 19th century, it's about Flora, the daughter of a whaler, who yearns to get back to the Arctic where she went to as a child with her father. There she meets Jakob de Beyn, an American geologist and explorer, and the two, already both in love with the Arctic, fall deeply and irretrievably in love. Unfortunately, there is a third player in their story, Lester Armitage: a driven and dangerously ambitious explorer. Things don't end well. It's a vivid evocation of the frozen landscape and of the Inuit people who are Flora's friends, and it's cleverly told in several different stories and two different timescales. Following that, I headed east to Iceland and read two detective books by Ragnar Jonasson, Black Out and Rupture. I read the first two in the series some time ago; they're about a young policeman called Ari Thor, and like most good detective series, they're as much about the lives of the characters as about the crimes that have been committed. And, naturally enough, there's a lot of snow. And now I'm nearing the end of another book by Eowyn Ivey, called To the Bright Edge of the World, also set in Alaska. But more of that next time. What is the fascination of the poles? (I just heard on the radio of a musician who is about to set off to the Arctic to be a song-writer in residence, so it's not just me!) 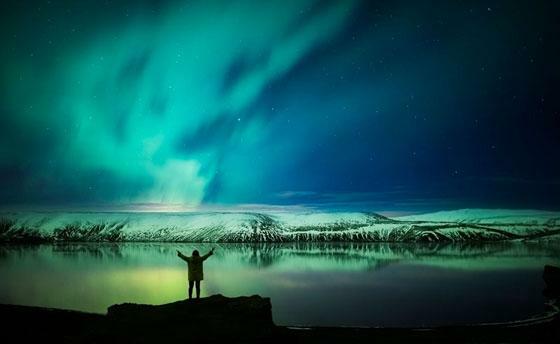 I remember when I was a child reading in a big, dark red encyclopaedia, called The Children's Wonder Book or something similar, about the Aurora Borealis, the Northern Lights, and thinking how much I'd like to see them. (I still would.) And I'm fascinated by the eerie beauty of the photographs of Ernest Shackleton's Antarcticexpedition; I have a book about them. Of course, I could go. 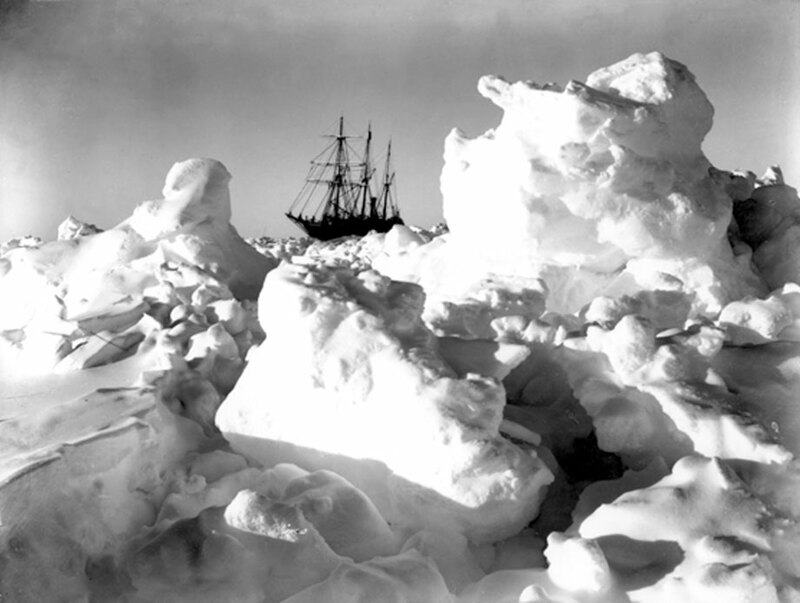 These days it's quite easy - not as it was for Flora, Jakob and Shackleton. Perhaps one day I will. But in the meantime, how delightful it is to read about extremes of cold while curled up in front of a warm fire - to hear the call of the icy wastes, but to leave it for others to answer. PS Some feedback, please: do you prefer the font smallish, like this, or larger, like the post below? Thanks. Not sure if size matters here. The smaller type is OK for me to read, and the font is OK. The larger type is bit over for me. Perhaps something between the two. Thanks Andrew. I agree - the trouble is, there isn't one in between. Will stick with the smaller one, I think.